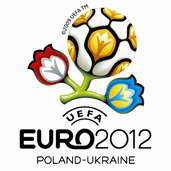 WARSAW – UEFA gave a thumbs up Wednesday to Poland‘s Euro 2012 preparations despite jitters about the ability of the Poles and their Ukrainian co-hosts to get ready for the football showcase. “UEFA have given a positive assessment of recent months of preparations for Euro 2012 in Poland,” said a statement published by Warsaw’s sports ministry in the wake of crunch talks between Poland’s leaders and the president of European football’s governing body, Michel Platini. “They consider that plans are being handled in a professional way, following the best possible examples and in tight cooperation with UEFA experts. “If the project continues in the same manner as over the past months, it will be a success,” it said. It also quoted Platini as saying that Poland was “headed in the right direction” and that he had been reassured to learn that the opening match venue – the national stadium in Warsaw, long a major worry – would be built in time. Platini’s visit to Poland and Ukraine – he is bound for Kiev on Thursday – has been hotly-awaited amid rumours that they could be stripped of the championships. Platini had one-on-one talks with football-mad Prime Minister Donald Tusk, then President Lech Kaczynski, and was due to hold similar meetings Thursday with their Ukrainian counterparts Yulia Tymoshenko and Viktor Yushchenko. Kaczynski, meanwhile, told AFP he was optimistic. “In this part of Europe, people are used to being ready on time, even if it looks impossible,” he said. UEFA’s 10-strong delegation also met other Polish ministers and football federation leaders, and was due to do the same in Ukraine. Poland’s Sports Minister Miroslaw Drzewiecki said it was time to halt the rumour mill. “It can’t be said that preparations need to be stepped up, because it’s simply not true. Everything is being done to deadline,” he affirmed. French football legend Platini has issued repeated warnings to Poland and Ukraine, who in April 2007 were UEFA’s surprise pick to host the 2012 edition of the quadrennial, 16-nation championships, beating Italy and joint bidders Hungary and Croatia. Despite Wednesday’s positive mood they remain under pressure, because Platini has set them a September deadline to prove they are on target. On January 29, UEFA’s executive had told them to “wake up” and given them four months to prove their mettle. “In September in Bordeaux we will make a final decision,” Platini said Saturday, referring to the executive’s session in the French city on September 25-26. “The only reason for us to decide not to have the tournament in Poland and Ukraine would be if there were no stadiums in the two capitals,” he said. In addition, after the Alpine efficiency of well-heeled Euro 2008 hosts Austria and Switzerland, 2012 marks UEFA’s first major foray into the former communist bloc, where the challenges are massive. Besides new stadiums, Poland and Ukraine have to bring their air, rail and road transport services and hotel sectors up to scratch to cope with the influx of fans. Scotland, who lost in a joint bid with Ireland to host Euro 2008, has said it is ready to step in. Newly-crowned Euro 2008 champions Spain and runners up Germany have also been tipped as possible alternatives, but UEFA have dismissed the rumours as baseless. Analysts say one of the reasons for UEFA to stick with their choice is business. Jacek Bochenek, of the consultancy firm Deloitte, told the Polish daily Puls Biznesu that the combined 85 million people of Poland and Ukraine were too important an advertising market, with huge potential for Euro 2012’s sponsors.